Dji announced on October 8, 2015 another all new gimbal, The Dji Osmo. DJi, is a leading manufacturer of unmanned aerial drones, and they have also crafted a 3 axis gimbal known as the Ronin which is what I currently use for steady and smooth shots. 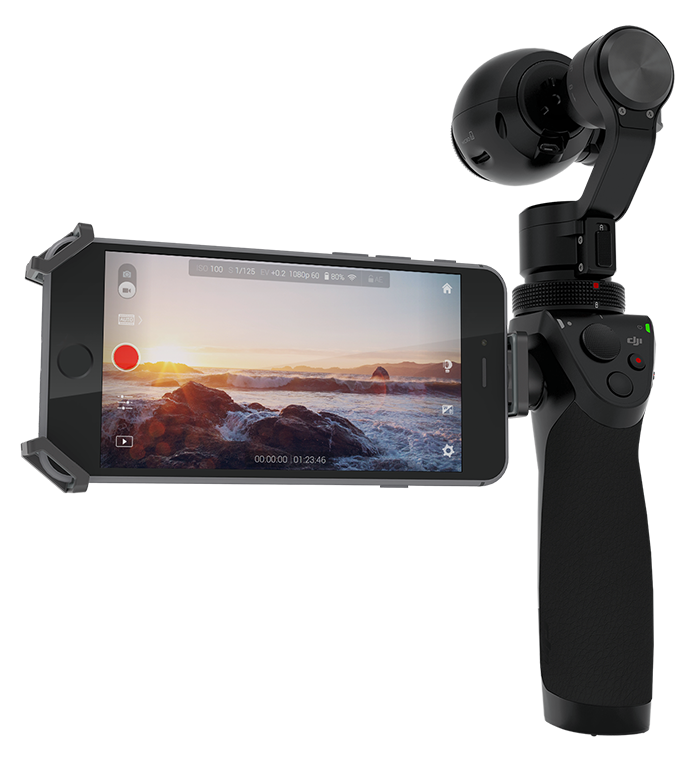 The Osmo will be Dji’s first venture in one-handed gimbal technology and will again like the Ronin did revolutionize the way we capture visual stories. Attached above is a short clip of how the Osmo and camera operator are able to walk through the ropes of the boxing ring and hand off to a second camera op. with ease. The stabilization within the Osmo’s motors work well enough that the viewer can barely notice the hand off. It is not only interesting but will fit the run and gun type shooter, whether your traveling light or trying to get into places where normal, larger rigs cannot, the Osmo looks to be the best solution especially with its 4k video recording. With impressive features at an affordable price, the Dji Osmo is definitely a product to consider when looking to move into steadier video for your projects. The Handheld Gimbal and Camera, Mobile Device Holder, Intelligent Battery, Battery Charger/Power Cable, Storage Case, Wrist Strap, Shoulder Strap, Micro SD Card (16gb), UV Filter, Lens Cap, Rosette Protection Cap, As well as paper Manuals.